You can learn a lot watching someone else teach a lesson, especially if you know what to look for! The following is a list of questions to ask yourself after watching another instructor’s lesson, taken from PATH’s instructor book and my own thoughts. Starting out, I recommend answering these while the instructor is teaching the lesson because it’s hard remember everything afterward. As time goes by and your brain settles into the rhythm of teaching, your memory will get better. I actually kept a journal of lessons I watched, recording their lesson plan and anything I liked that I wanted to use myself. Benefits of watching lessons include learning How’s, Why’s, quips, sayings, exercises, patterns, and methods of class control from other instructors to have in your own back pocket for teaching. Also, the more lessons you watch and go through this list, the more you’ll get into your head the things you should always be aware of when teaching your own lessons! If this exercise seems excessive to you – I thought so too, at first! But once I did it I realized how helpful it is to analyze each tiny piece of the whole lesson, because when you are first starting out you don’t automatically see everything yet. It’s the opposite of lesson planning – it’s lesson deconstruction! In fact, these questions are also helpful to ask yourself after teaching your own lessons! Was the gate shut, helmets adjusted well, and safety stirrups correct? When did the TRI do safety checks and why? Could the TRI see all the students all the time? Where was the best ring position for the TRI? Were there any unused obstacles in the arena? Were the riders ever in a potentially unsafe situation? What would you have done differently? Did volunteers put themselves in unsafe situations? Did the TRI fix it? Did something unsafe happen? Why? Were you able to predict it? Why or why not? How many volunteers were used for each kid? Why? What types of physical and verbal prompts did the volunteers use? Were these directed by the TRI or did the volunteers have to guess what to do? Did the leader and sidewalkers work together? Why or why not? What did you like about the TRI and volunteer interactions? What volunteer interactions did students respond well to? How can you facilitate this as a TRI? Did the instructor just call out directions, or use lots of How’s and Why’s? What specific praises did they use? What specific How’s and Why’s did they do? 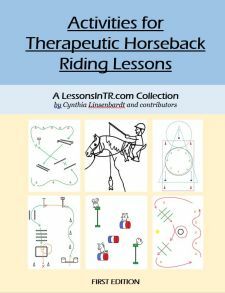 Were the How’s and Why’s clear to the rider and appropriate for the rider’s level? Did the rider ever stand still? 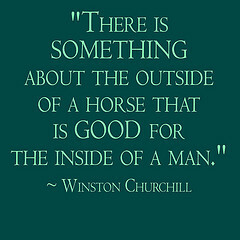 If so, was it for a reason, or were they missing the benefit of a moving horse? How did the TRI maintain spacing? How did the TRI reverse their riders? How did the TRI maintain class control? Solve conflict? What exercises were used? Both upper and lower body? What games were used? Were they appropriate for these particular riders? Did the riders progress in knowledge and ability? Did the TRI notice the riders’ posture and make corrections? Was there follow through on the corrections? What worked? What did you like? What didn’t work? What didn’t you like? What did students enjoy the most? The least? What would you have done differently in this lesson? Click here to get the printout for taking notes!